The Mission of TTT is to organize and preserve 2x2 historical information and so that it is easily accessible. What are the purposes of TTT? To inform, educate and preserve. To publish the plain, unvarnished truth and oppose deception. TTT believes everyone who has ever been connected with this church has a right to know the historical facts concerning their founder and origin. TTT is dedicated to preserving and making the historical information easily accessible and readily available. Its goal is for the history of the Sect to become common knowledge to its followers. Readers are encouraged to individual examinate and evaluate the documents on TTT. TTT is not a church, denomination or religion. Why does TTT do this? TTT takes seriously the command, "as ye would that men should do to you, do ye also to them likewise." (Luke 6:31). I wish I had known the facts that TTT publicizes. TTT is an answer to those who are seeking to learn the truth about this group. TTT is devoted to TRUTH. The church started by Wm. 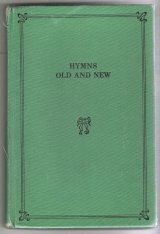 Irvine included many of the same principles as other restoration movements that became churches in the 19th century. Wm. Irvine's ideas were not original. Many others began to move back to the basics of Christianity and their efforts evolved into churches. These churches differed in what principles they chose to emphasize from the New Testament. 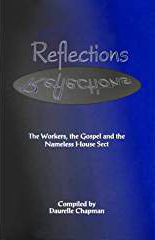 Like the 2x2 fellowship, several other religious movements also hold the belief that no one on earth for eighteen centuries has understood the Bible until their particular self-proclaimed leader was "raised up to restore" the correct or true interpretation of God's truth, will and way to mankind through his personal "revelations:" Some others believe, "We're Christians only, but not the only Christians." What are TTT's standards regarding documentation and evidence? A great deal of effort has been made by the TTT Editor to hold a high standard of accuracy in reporting details about the 2x2 church and ministry. Telling The Truth has a hard copy of each of the documents, newspaper articles, references, etc. 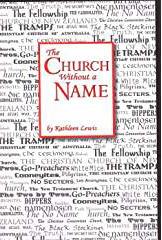 (unless noted otherwise) listed on TTT and in the Book Preserving the Truth: The Church without a Name and Its Founder, William Irvine by Cherie Kropp. 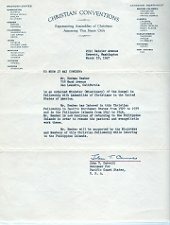 Material included on TTT relates to subject matter that is published, circulated or concerns The Church Without a Name, its history, founder and/or congregation. Text of notes of 2x2 church functions provided by reliable sources are reprinted on TTT without further verification. A few comments without sources have been used, and they are prefaced by the words "allegedly" or "reportedly," indicating the editor has not substantiated same, but thought them worthy of inclusion. The TTT Editor has made due diligence to corroborate evidence when possible, but makes no representations concerning the accuracy of the information presented in the information posted. When there is conflicting information, both versions are given. TTT has a hard copy of every document, newspaper article, reference, etc. mentioned on this website. Who is the Administrator of TTT? 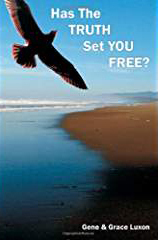 Telling The Truth (TTT) was started in 1997 solely by Cherie Kropp, a former member of the 2x2 Church, as the result of God coming for her words relative to a vow she made to Him in 1988. Daniel 10:12: "for from the first day that thou didst set thine heart to understand...thy words were heard and I am come for thy words." "The only thing necessary for the triumph of evil is that good men to do nothing." ADDITIONAL HISTORICAL DOCUMENTS ARE WELCOME! You are welcome to contribute OLD photos, letters, notes, lists, etc. for the preservation and documentation of the history of the 2x2 sect for future generations. Your documents will be returned to you if you wish. Confidentiality will be respected if desired; if you permit, your name will be included in the TTT Acknowledgements. Contact: Telling The Truth (TTT) . Historical landmarks in Ireland and Britain. Workers on the 1905 Workers' List - with names! OLD Photos - preferably with names. NOTE: TTT is NOT interested in receiving RECENT photos of workers or conventions. The inclusion of images and photographs on this website is made without intention to breach any copyright restrictions. If this has been done in any instance, please contact us and we will willingly remove the offending item.